Liz began her fitness career in 1980 when she joined USM’s Lifeline Program as an Aerobic Dance Instructor. She quickly realized her passion for helping others achieve their goals in health and wellness, and she has been enthusiastically pursuing that passion ever since. 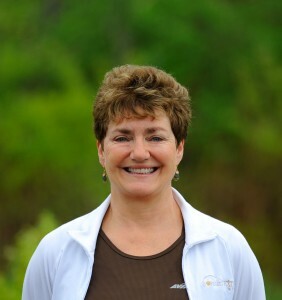 With over 30 years in the fitness industry, Liz has a wide range of experience designing and implementing programs for ALL populations, including athletic teams, de-conditioned individuals, pre and post-natal women, breast cancer survivors, children, individuals with chronic diseases, seniors, and psychiatric patients. In addition, she has extensive training helping clients combat health issues such as MS, diabetes, cardiovascular and/or pulmonary issues, metabolic and musculoskeletal problems. Liz is proficient in various styles of individual and group fitness instruction, including rehabilitation programs, Step/Pilates, Strength Training, YogaLates, “Boot Camp games”, Intervals and Chair Fitness. In her spare time, Liz enjoys being with her family, working in her gardens, skiing, and competing on the tennis court. Join her for a workout, tap into her knowledge, and let her enthusiasm rub off on you too!